Whether it’s a wedding dinner, a special celebration, a casual pupu party or a romantic dinner for two, Island Thyme Gourmet can provide fine restaurant quality meals for you and your guests. 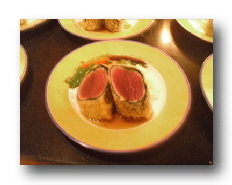 Using classical technique with a unique Hawaii island flare, Chef Dan will create original dishes and menus tailored to your personal tastes. He can easily accommodate special dietary needs for you and your guests as well. Island Thyme treats each of our clients as unique and we don’t use set menus-each menu is developed specifically for your event or celebration and to your own unique palate. 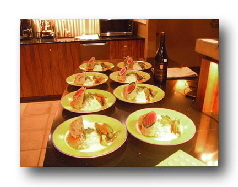 We can also arrange for off site food preparation and delivery, if needed.